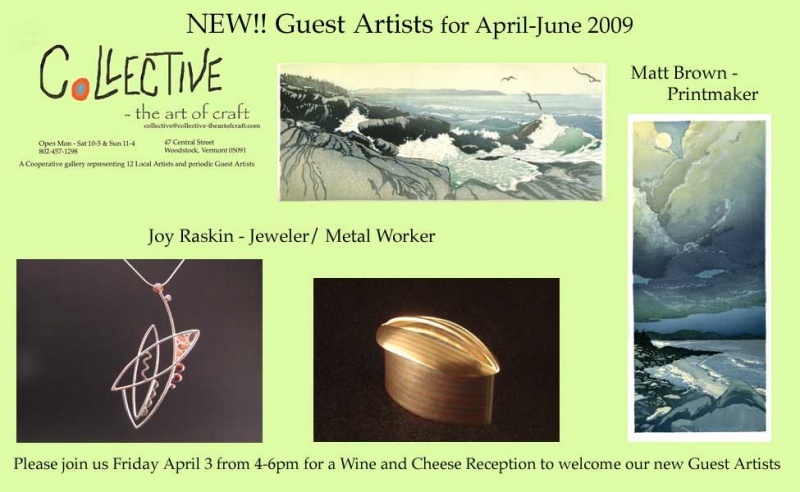 I am the guest artist for April to June for the Collective Gallery, so come visit the gallery if you are in Woodstock, VT. I'll be there for Friday the 3rd for the Wine and Cheese Reception. Hope to see you there!